The Strictly Ballroom Launch Event! Don’t miss our Spring Ticket Event – get tickets to dozens of incredible West End shows for £15, £25 or £35! We won’t deny it – show us something with sequins and feathers in it and we are there. The shinier, the better. And when we went along to the Strictly Ballroom launch event, we weren’t disappointed. The show debuted in Australia before coming to the West Yorkshire Playhouse in Leeds, with the UK version is directed by Drew McOnie (The Wild Party, On The Town). Creating the gorgeous costumes is the award-winning designer Catherine Martin and both she, Drew and the cast were at the show’s launch event at Cafe de Paris in London’s West End. 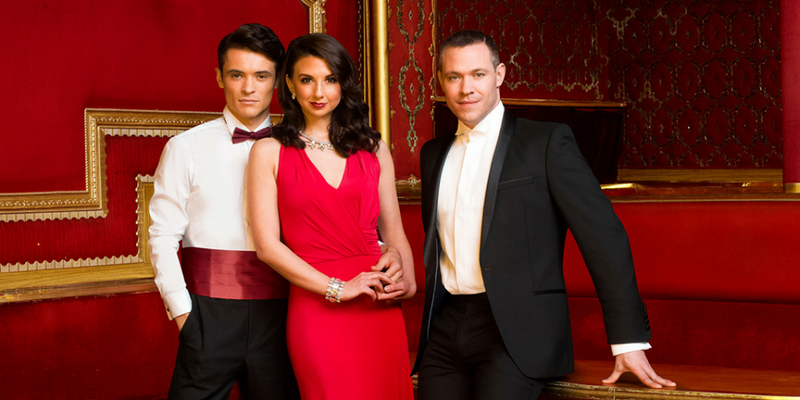 Starring Zizi Strallen, Jonny Labey and Will Young, Strictly Ballroom will make its West End debut on 29th March. Based on the beloved Australian movie by Baz Luhrmann (Moulin Rouge), the story follows a talented young dancer, Scott (Jonny), in the world of competitive ballroom dancing. When Scott must pair with Fran (Zizi), who has two left feet, he sees a chance to reject the restrictive, old-fashioned rules of dance competitions and bring his own, fresh style to the floor. At the launch event, Will Young treated us to a beautiful performance of Cyndi Lauper’s ‘Time After Time’, as a glimpse of his role in the show as the band leader, while Zizi and Jonny took to the floor to show off their incredible dance skills. Then, descending from the double staircase, came the rest of the cast in their ballroom best. Feathers, sequins, fabulous wigs and gowns – it has all the beautiful pageantry you want from ballroom but audiences will also get a taste of different styles of dancing like flamenco, as performed by Fran’s father Rico (Fernando Mira). Take a look at the show’s teaser trailer and get as excited as we are! Strictly Ballroom opens in London’s West End 29 March 2018! Want more? Don’t miss our Spring Ticket Event!